Long Island Yoga School of Integrative Wellness Practices offers: Yoga Teacher Trainings at the 200- Hour Level & 300 (500) -Hour Level, Meditation Trainings for teachers and Private Sessions for all students, Workshops and Group Yoga & Meditation Classes for all students on the path toward wellness & empowerment, Private Yoga Sessions for all – including those with injuries or limited mobility, and Reiki Healings & Initiations. Contact Us for more information on any of the services we offer. Long Island Yoga School is a Registered Yoga School (RYS) through Yoga Alliance and has been offering 200 & 300-hour (500 hour) Yoga Certification Training Programs as well as Continuing Education and Mentorship Programs for certified teachers, since 2007. This program exceeds the minimum requirements set by Yoga Alliance to be a RYS (registered yoga school) – Offering trainings in Farmingville & Rocky Point – Suffolk County, Long Island, Great Neck – Nassau County, Long Island and Douglaston -Queens. The ancient teachings of yoga were passed down from teacher to student in a one on one setting for thousands of years. At Long Island Yoga School, we feel it is important to maintain this teaching format that supports each students’ personal journey, inner reflection and spiritual evolution. For this reason, we offer a Private 1-1 Mentorship Training option all year with a customized start date. This program is completely customized to your availability, goals and learning style. This is a great option for anyone who cannot commit to a weekend schedule or has a busy work schedule/family commitments as well as anyone who would enjoy taking this training as a private 1-1 learning experience. Our next group training will begin October 2019 at our new location in Farmingville. No need to wait for the program start date. You can start anytime and get a head start on classes, requirements and also get in some private mentoring. Take advantage of our NEW LOCATION DISCOUNT PRICE OPTION! Our 500 hour program is offered as a 1-1 Mentorship for a limited amount of students who have either taken a group training or the 1-1 Private Mentorship through LIYS. We work individually and in small groups allowing for more individual time working with you on YOUR specific goals. While there are mandatory lectures and mentor groups that must be included, there is great emphasis on guiding you towards discovery of your authentic teaching style and vision. Click HERE to see what we offer. In addition to offering Yoga Teacher Trainings, Laurie Ahlemann has many other offerings for students of yoga and teachers of yoga – covering Eastern & Western Suffolk, Nassau and Queens. Ladies! Join us for our Women’s Empowerment Yoga & Meditation Class Series. Click HERE for a list of services and more information. Click HERE for Upcoming Events & Workshops. What can our yoga teacher trainings offer you? Learn powerful techniques to heal yourself and others. Uncover the blockages that keep you from realizing your full potential in work and life. As more and more studios open, there are great opportunities for growth, but along with many studios means condensing class types. There has never been more of a need for teachers who are qualified to teach to a wide variety of levels in the same room. This is what you will learn through Long Island Yoga School. We specialize in teaching the ‘True Open Level Flow™’, a very specific way of sequencing, cueing and offering modifications that keeps the class moving with fluidity while meeting each student where they are. Principles not Postures lecture series which results in a much clearer understanding of cueing and assisting while giving you a very easy way to remember it all. In addition, your own personal practice will evolve! Wired for Success: Our thoughts affect everything we do, or do not do. We all have unconscious patterns that sometimes get in the way of our best efforts to succeed. Throughout this program we will work on rewiring any negative beliefs or self-talk to change the patterns and be wired for success!!! Leading an All Level meditation class that gives everyone what they need no matter if they are brand new or a seasoned practitioner. We are affiliated with Gentle Strength Yoga Studio located in Rocky Point, Suffolk County and Yoga Journey in Douglaston, Queens. Both of these affiliate studios are owned by graduates of Long Island Yoga School and have a teaching staff that includes graduates of our Prana Shakti Flow™ Certification Program. There are opportunities to get more involved with these studios after graduation! 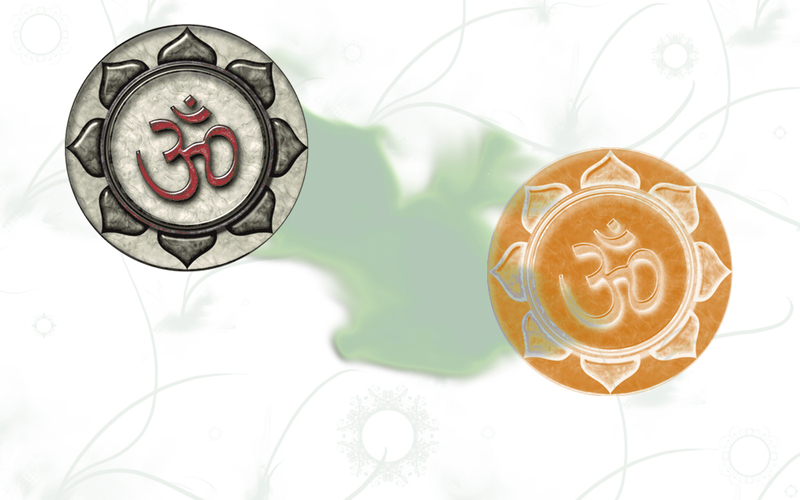 The style of yoga taught here at Long Island Yoga School is Prana Shakti Flow™. This style of yoga offers a very specific and deliberate sequencing method that focuses on the Energetic and Anatomical qualities of the postures. The easy to follow unique format taught in our teacher trainings allows a new teacher to create safe, fun and energetically balanced sequences quickly and easily as if you have been teaching for years. See below for more detailed information about this style of Alignment-based Vinyasa Flow. At Long Island Yoga School we provide the individual attention needed to accomplish your unique goals. In our 200 Hour Yoga Teaching Training Program and our One on One Private Mentorships we help you find your voice and teaching style before you start teaching. You will be prepared to start teaching immediately after graduation with confidence and knowledge to back it up. As a 300 hour trainee, we can show you how to cut your class preparation time in half (or even more) while also helping you enhance or find your unique teaching voice and style. At Long Island Yoga School we are always looking for teachers to join our team as teachers/assistants in our trainings and workshops. In addition, we are affiliated with studios as well as many other facilities in the field looking to hire teachers for their class schedules. Many of our graduates have gone on to work in successful studios all through-out Nassau, Suffolk and Queens as well as open their own yoga studios. If your goal is to be a quality yoga teacher with high standards of teaching then you have found the right place! What is Prana Shakti Flow™? Prana Shakti Flow™ is an energetic and alignment- based vinyasa flow practice, influenced by the ISHTA tradition. One of the physical elements of this flow is a strong focus on – cardiovascular strength, muscular endurance, muscular strength, flexibility and a strong emphasis on core integration. The other element of this unique flow is the releasing aspect of Yin Yoga, which lengthens connective tissue and maintains proper range of motion in the joints, resulting in more prana (energy) flowing through the body. The Prana Shakti Flow Energetic Sequencing Method™ is a very specific and deliberate sequencing method that focuses on the Energetic and Anatomical qualities of the postures. The Prana Shakti Flow™ sequence brings awareness to the wisdom of the body by building upon the principles of each type of posture. Each posture in the sequence builds upon the alignment principles taught in the previous one. As the sequence progresses, the body has already become familiar with the specific movements needed. In addition, the appropriate muscles have been targeted so the body is physically ready to move to another, perhaps more challenging pose. Taking into consideration the Anatomical Alignment coupled with the Energetic Components that exist in each Asana, as well as the subtle energy systems, this style of yoga creates an opportunity for a more balanced mind and body after every class. Prana Shakti Flow™ vinyasa flow meets each practitioner at their level – beginner, advanced or anywhere in-between and allows one to embrace their own personal experience by bringing deeper awareness to the physical as well as the energetic bodies. Every experience in life is a lesson and an invitation to go inward. The Prana Shakti Flow™ practice creates an environment that encourages growth and self-acceptance along with Inner Peace and Outer Strength that supports us in yoga and life. “Prana Shakti Flow is an intimate dance with your soul. It allows you to look inside and love who you really are.” – Lisa B. “I would describe Prana Shakti Flow as the energetic and essential “breath of life” practice that comes in to the body and the various energy centers, allowing us to connect to our inner-self and let go.” – Kim D.
Please ‘Like’ Long Island Yoga School-Prana Shakti Flow on Facebook to get updates on our events, inspirations and Asana tips.